If you’re like me, I am always looking for a bargain. Buying things new isn’t always in my budget even though I am in need of certain items for my bike that seem only be found in dealerships….wrong! Approximately every 8 weeks Ramjet Racing on Cave Creek Rd. has a swap meet on Sunday that is great to check out with lots of vendors selling anything from old parts to new and t-shirts to leathers. Best way to spend a Sunday morning! One that I seem to hit and take pictures of every year is the Loner MC North Valley in November. The draw of vendors is always good and it’s an all day event with their old school bike and car shows, a band, food and fun! We also had the opportunity to go to the Arizona Cycle Swap at the beginning of December. They had so many vendors that we bought stuff we didn’t even need! They have them during our winter months, Oct., Dec., and coming up on Feb. 7 and another on April 3rd. A must to check out. There is also an annual Vintage and Classic Motorcycle Swap meet that is March 20th this will be their 32nd year. In the fall there is a big one at Pinal County Fairgrounds to keep in mind. great opportunity to clean out stashes of old parts and accessories, put a few bucks in their pockets and best of all to give someone a hand up with their builds and necessities for their motorcycle journey. Prices are always reasonable and of course you can haggle to save a buck or two. 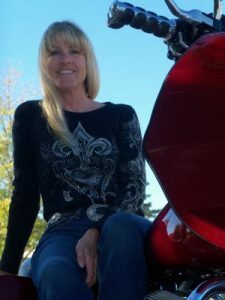 It’s fun, educational, and you get to share the atmosphere of those who love motorcycles. Biker Information Guide will always post these events and encourage you to get out and participate. If you have an event please be sure to let us know!